Give Her Wings: Give Her Wings is an organization that helps women who have gotten out of abusive situations. Women like "Hope Brown", whose husband left her and her 5 children. This month, if you purchase this bracelet or donate any amount, all funds go to help "Hope." To find out more about Give Her Wings, visit their website. CORE Focus Group: Due to popular demand, there will be another CORE Focus group in June. Watch for an email with more info. Sometimes I tried to become someone else. I'd copy one of the more popular girls' laugh, or outfit, or hairstyle, hoping that if I could look or become more like her, people would then like me. But I never felt cared about or secure in my relationships because I knew that the person they liked wasn't the real me. I saw myself as a fake. The foundation for a healthy self-concept rests in the assurance that we are loved, but human love (no matter how good) will never be enough or without some pain. It is only God's infinite and unconditional love that can correct and heal our faulty self-image. 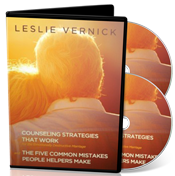 The Emotionally Destructive Marriage (2 DVD set): Counseling Strategies that Work for the Emotionally Destructive Marriage & The Five Common Mistakes People Helpers Make Plus see the winners of the previous giveaway! If you are a pastor, lay leader, marriage mentor, or Christian counselor, this 2-part DVD set will give you a biblical roadmap that provides a clear route to genuine healing and restoration of an emotionally destructive marriage. What emotional abuse looks like and what God has to say about it. Why God does not value the sanctity of marriage over the safety and sanity of the individuals in it. What the fruits of genuine repentance look like. To win, please use this form to submit your name and email address by midnight on Sunday, May 11th. are: Tricia A. and Laura W.